is the mission of ADLATUS Robotics GmbH. The digitization and globalization push the change in the service sector of the facility management and demand new products and solutions from the companies. ADLATUS supports this change and develops autonomous professional Service Robots. ADLATUS is Latin and means helper. And that`s the philosophy of the ADLATUS Robotics GmbH. We want to support the companies with a helper on their side, which is able to handle tasks by itself. Our helpers should ease your life and work and support you like a colleague. The Professional Service Robots are designed to fit in their domain. Digitization has created a “foundation stone” for autonomous machines and robots, on which many other technologies and systems are based. In the service sector, it has led to a great change and the networking and connectivity of devices required. The demographic change in Germany is not conducive to the professional deficit in the country. This in turn offers robots in many areas a “workplace” or new fields of application. As a result of the increase in terrorist attacks, operators of public facilities have higher security requirements and minimize risk factors. Autonomous “systems” reduce the risk factor of foreign personnel. 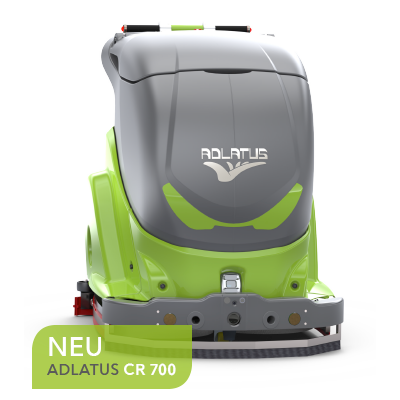 ADLATUS Robotics GmbH develops, manufactures and distributes Service Robots and offers customers complete solutions including consulting, commissioning, training and service.